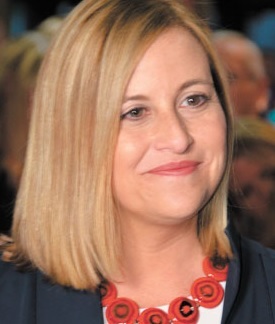 Metro/Nashville Mayor Megan Barry yesterday announced convening a 17-member Economic Inclusion Advisory Committee to be led by Co-Chairmen Edward 'Eddie' George M.B.A., managing partner of Edward George Wealth Management Group and former Running Back for the Tennessee Titans; and, Shawn Joseph, Ed.D., director of Metro Nashville Public Schools. The EIAC volunteers are charged by Mayor Barry with providing recommendations regarding "new and more powerful ways to support economic inclusion in Nashville," by year-end 2017. Barry, the city's first female mayor, said she seeks a "Nashville Vision" as a framework for the inclusion and empowerment work ahead, the goal being to help advance low- and moderate-income Nashvillians towards financial inclusion, through education and training. The announcement yesterday also made clear that the newly commissioned group is to build upon earlier progress. Metro Government has operated a Financial Empowerment Program since 2013, when it was created during the second term of former Mayor Karl Dean. And, Mayor Barry has taken complementary initiatives, such as her community report on youth violence and remedies, including job opportunities. According to a news report a year ago, 72% of students in Metro Schools qualify for free and reduced lunch assistance, reflecting families with poverty-level incomes. Other figures published in 2015 showed more than 32% of children in Davidson County live in poverty, and the county's overall poverty figure 17.8%. "Financial literacy brings two-fold benefits to our students," said MNPS Director Joseph in the release. "The immediate impact is that our families can find more sound financial footing, which as we know brings greater equity in education. This is also an investment in our future, as financial literacy is an important component of a well-rounded education. We need to make sure Nashville's youth are prepared to make the right decisions as they move into adulthood." There may be a multiplier-effect at work in the new committee's efforts: The majority of EIAC members' organizations have broad networks of relevant resources and virtually all are conducting complementary programs of their own. Though the roles of many members -- such as United Way and Conexion -- are well known, less widely known is the fact that within the office of Vanderbilt University Owen Graduate School of Management Dean Eric Johnson there is the Turner Family Center for Social Ventures, led by Director Mario Avila, the founder and former CEO of startup Emerge Financial Wellness, and earlier, Contigo. In the same vein, Nashville interactive, ad and PR agency GS&F has done pro bono work for Oasis Center, which recently partnered with entrepreneur Marcus Whitney to launch Oasis Venture, a youth entrepreneurship program. The financial-empowerment ecosystem is pretty broad in Nashville. For example, though not represented in the EIAC, Nashville Entrepreneur Center addresses related matters through its recently strengthened Diversity program. And, any list would be remiss without for-profit Ramsey Solutions, founded by educator, financial-wellness evangelist and personal-finance pundit Dave Ramsey. The EIAC's work is supported, in part, by a $30,000 donation from New York-based Voya Financial (NYSE), which announced the grant Aug. 18 here. VOYA (NYSE) IPO'd in 2014 after several acquisitions. The company has articulated its social responsibility strategy, the public-service component of which emphasizes fostering economic resilience and education. "Throughout my career in the NFL and as an entrepreneur, I've known fellow players and colleagues who lost millions because they didn't have a deep enough understanding of their finances to plan for their futures," said Co-Chairman George. "We need to make sure everyone has access to the services and programs necessary to invest now in their future in a way that will lead to a better quality of life." Formal Financial Literacy education helps produce skills and knowledge that enable students to make effective financial decisions. Empowerment is fostered by informal opportunities to use and develop financial management knowledge, skills, and tools to access resources, products and services to achieve learners' individual goals. Financial capability is the capacity, based on knowledge, skills and access, to manage financial resources effectively.